We had a blast at the BC Reptile Club Fall show in Abbotsford. If you’re reading this from the Metro Vancouver and Fraser Valley area and didn’t attend, we totally recommend you check out the next one, which will be in Spring 2019! We didn’t pick up any new scaly family members this time around because we have a few snakes in quarantine already. It was still great to window shop though. Even outside of ball pythons, there was so much to look at! 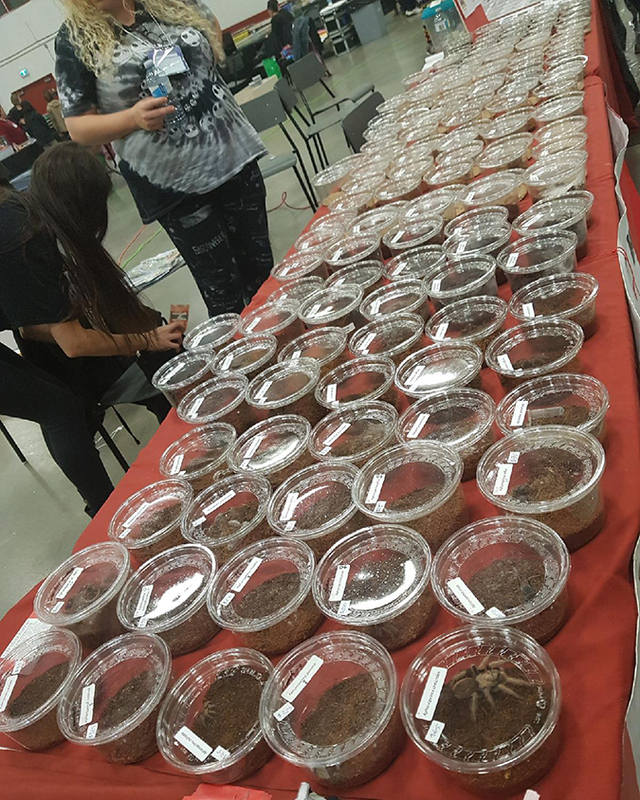 This season, our booth was between CTC Predator Feed and 2M Reptiles. CTC are great people who we use to supply us with mice and rats. 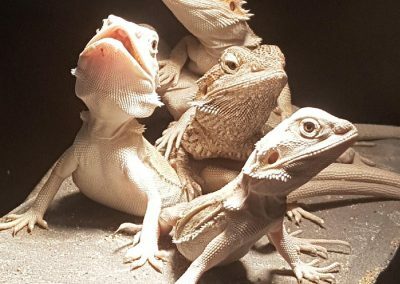 2M Reptiles are Marc and Michelle, two hilarious, kind people who breed bearded dragons. Michelle is also an incredible artist who tattoos and draws gorgeous reptile artwork. Rheanna loves beardies, so getting to hang out with them all weekend was by far the biggest highlight of the show for her. To Armani, the bearded dragon: If you are somehow reading this, Rheanna misses you! 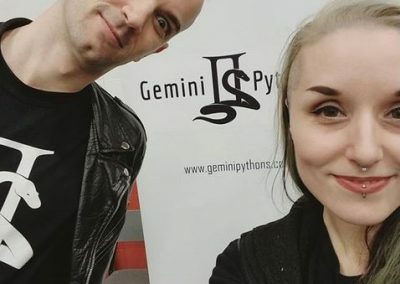 If you’ve been reading our updates, you might remember that at the previous expo in the Spring, we only had six snakes for sale. In funny ‘of course that happened’ news, we actually ended up having even FEWER to sell at this Expo! We didn’t have many pairings because we moved in the middle of breeding season so we didn’t want to risk moving pregnant females, but to top it off-and we certainly aren’t complaining here! 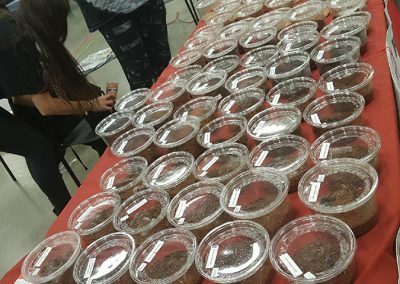 !- nearly all of the ball pythons we did hatch sold before the show! Still, even with only five snakes at our table, it was entirely worth it to be there. 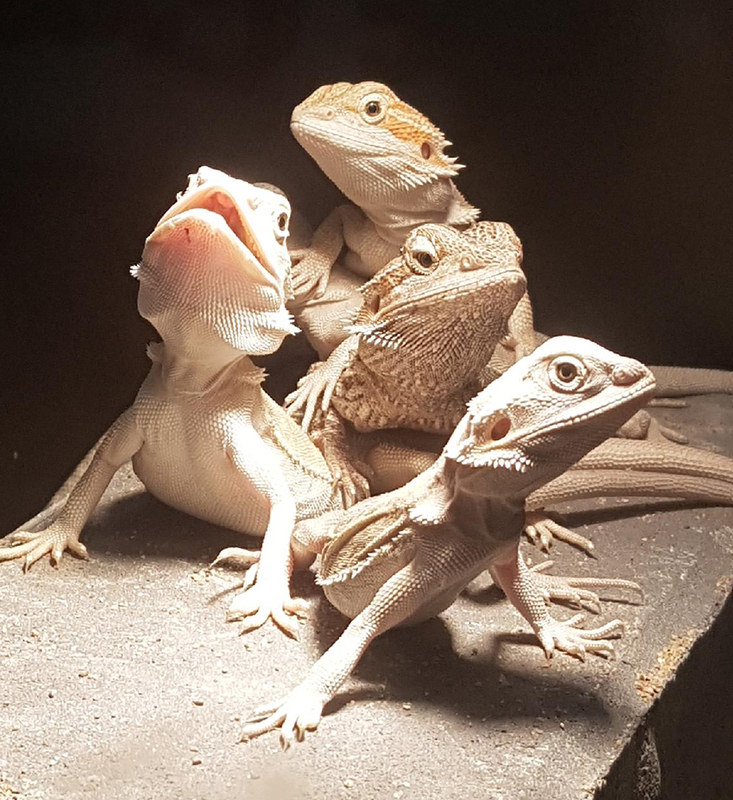 If you’re reading this and are a small breeder like us, our advice is get a table at your local show, even if you barely have any reptiles to sell. At the Spring show earlier this year, we felt a bit embarrassed because we were surrounded by big breeders. That soon faded because we made so many connections and got to teach AND learn so much by being there! This time at the Fall show, even though we had even fewer reptiles, we didn’t feel that same nervousness! 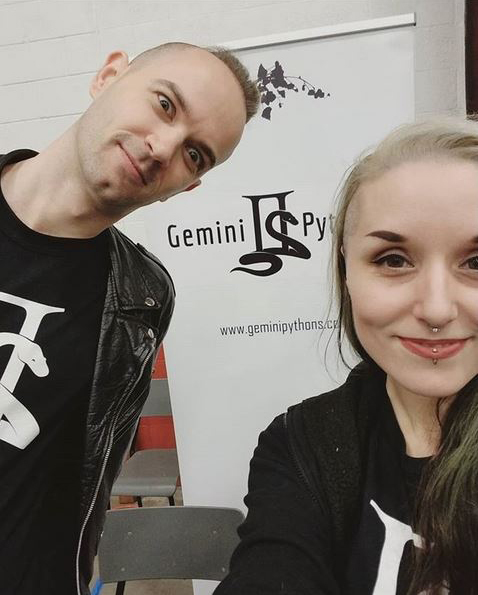 We had a great time, got to share with people why ball pythons are so rad, and learn so much from new friends we’ve met at the shows. As always, a huge thank you to all the volunteers at the BCRC who organized the show, and another huge thank you to everyone who took the time to talk and check out our table!